HI Vanessa, love the flower box pattern! Handmade is definitely my favorite pattern. All other patterns are super cool too! I love all the patterns!!! 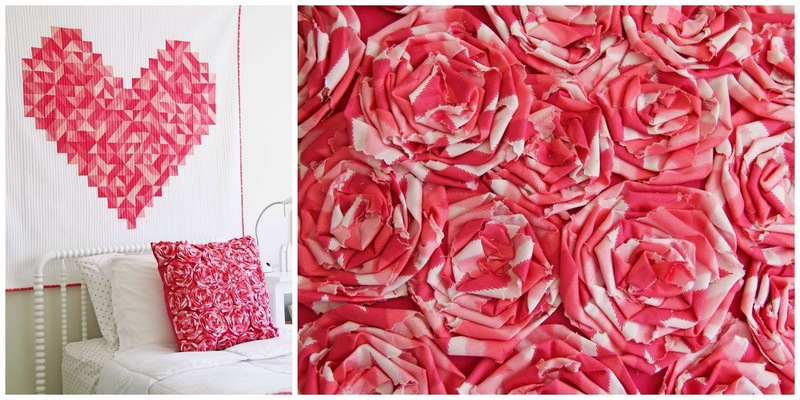 I think my fav is a tur between the flower box quilt and the braided pillow!!! The fabric is gorgeous!!!!! I'm ridiculously stoked about this fabric. And the patterns. You just can't stop making all the awesome!! I can't choose, I love them all! And the colours are perfectly happy. Dreaming of filling my kids' rooms with such gorgeousness! Love love love the flower box pattern!! Congratulations on all your new patterns. I don't think I can pick a favorite. First the fabric is super gorgeous so it makes everything look amazing. I love Flower Box, but To the point looked so great in the pics. 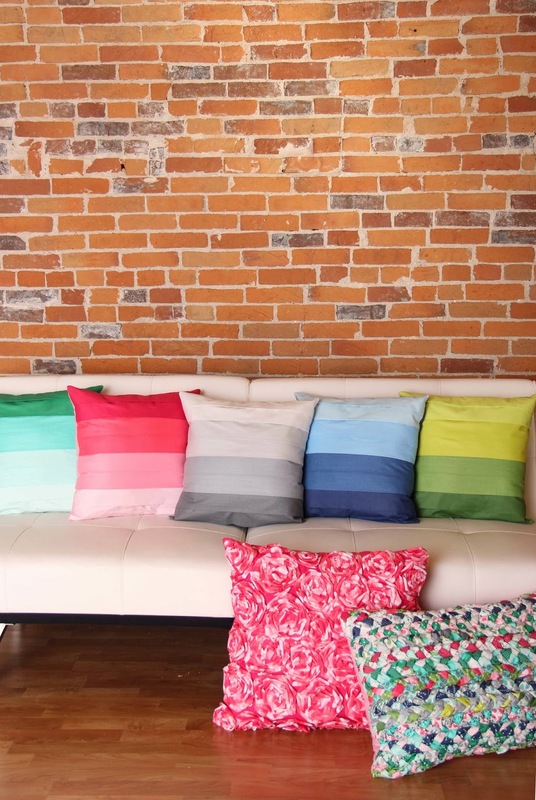 I also loved all the textures and colors of the pillows and the zipper pouches...Thanks for the discount looks like I will need it. I love all of them, but "to the point" really got my attention. 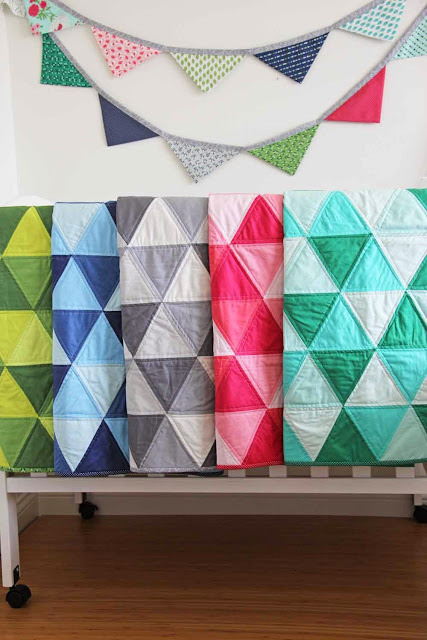 I've been looking for a quilt to make for someone special, and now I've found it. 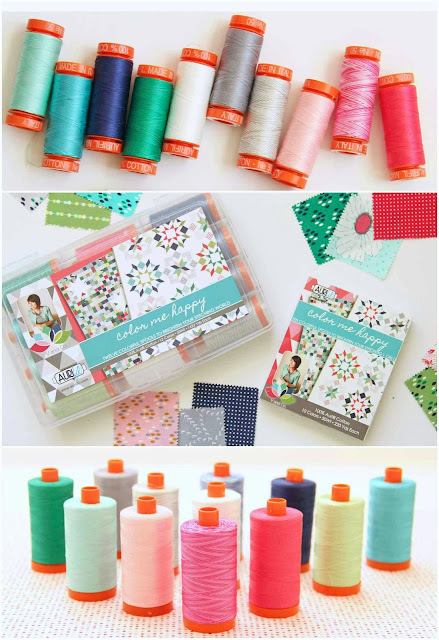 I really love flower box and the string zip pouch. 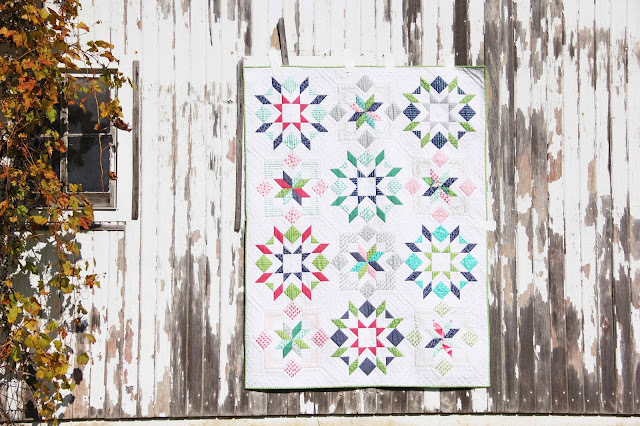 Flower box is great because of the vintage modern feel, a modern reinterpretation of the bethlehem or carpenters star. The strung sip pouch is just fun! Wow Vanessa- you have been BUSY!! What beautiful pictures and gorgeous patterns! I love them ALL but especially the pillows and the Point pattern, and the zipper pouch and Flower Box and did I mention that ombre fabric? Ohhh my! :) Congratulations and continued success!! Oh! You've done it again! 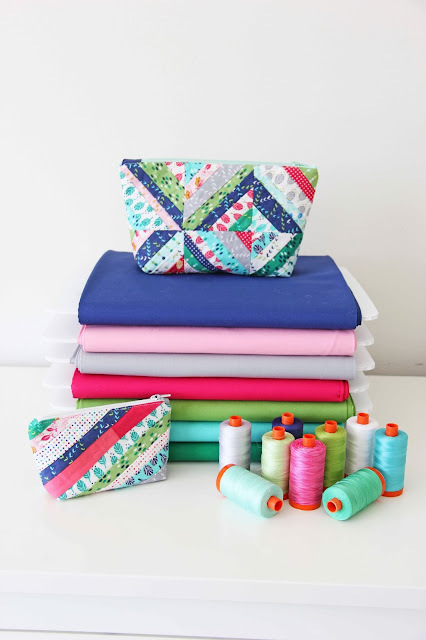 What a great new fabric line and awesome new patterns. My favorite is "to the point" followed closely by the pillow pattern. Can't wait to get all the patterns and some of your fabric in my sewing room. Wow, tough choice. I love triangle quilts, so To the Point is pulling me, BUT I'm going with the pillow pattern, because I know I can get smaller projects actually finished! You did a fantastic job of showcasing your fabrics and patterns. Thanks for sharing!! My favorite are the Flower Box and To The Point. I'm off to purchase Lucky Stars! I adore it! I love the Lucky Stars pattern and the braided pillow. I can't pick just one! I love the handmade, to the point and lucky stars! Handmade may be the top of the list! They're all beautiful V! Flower Box is definitely my favorite! Beautiful!!! Can't wait to see them in person this week....and you too I hope! You're amazing! The quilts are beautiful and stunning! I don't even know which is my favorite! I'm loving the ombré fabric so much! I'm in love with flower box! 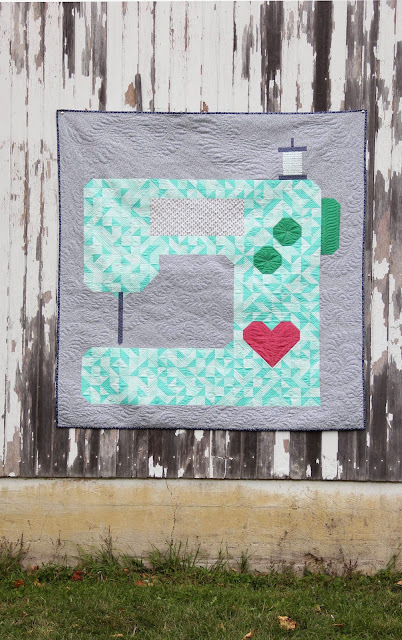 I just bought bernina 780 so that will be my first quilt on my new machine! I love the Flower Box pattern! 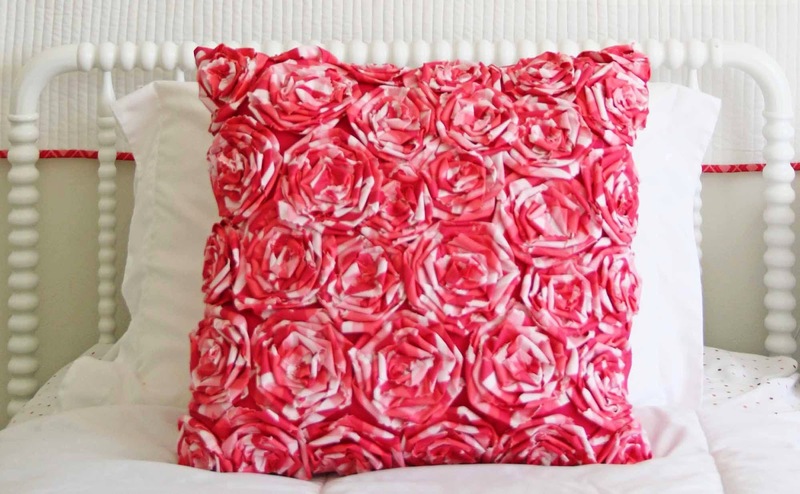 I'm also definitely going to have to get the pattern for all those beautiful pillows!!! For me it's a toss up between To the Point and Flower Box! Love the pillows and To the Point. Thanks for the 35% off! OMG V - where to begin!??! It's all super fabulous! No wonder your little head is spinning! 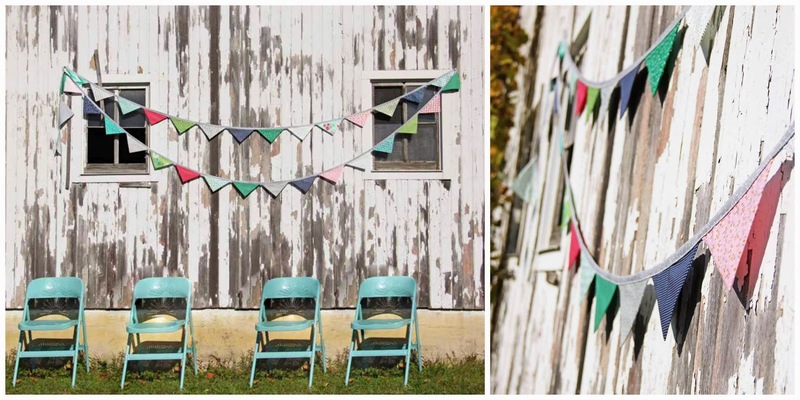 I love the colors most of all and then within any pattern, they are showcased so nicely! 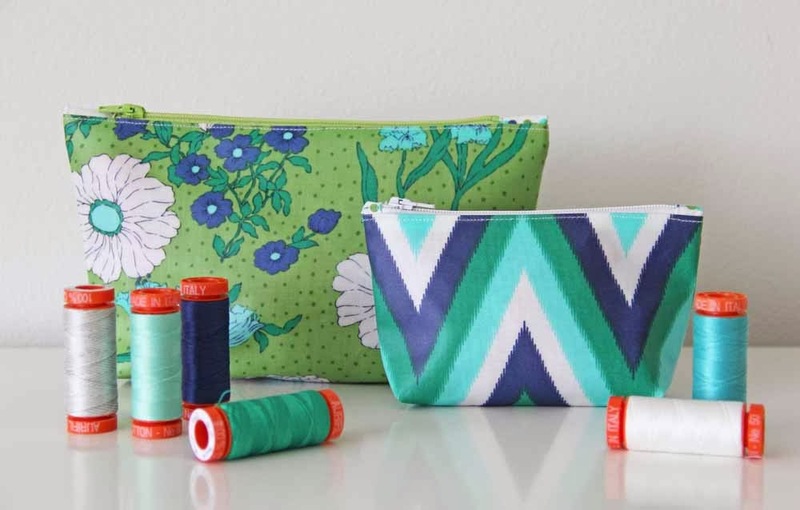 Each fabric line you do compliments any one of your patterns. I'm so impressed and proud of you! Great Job!! Good luck in Houston! 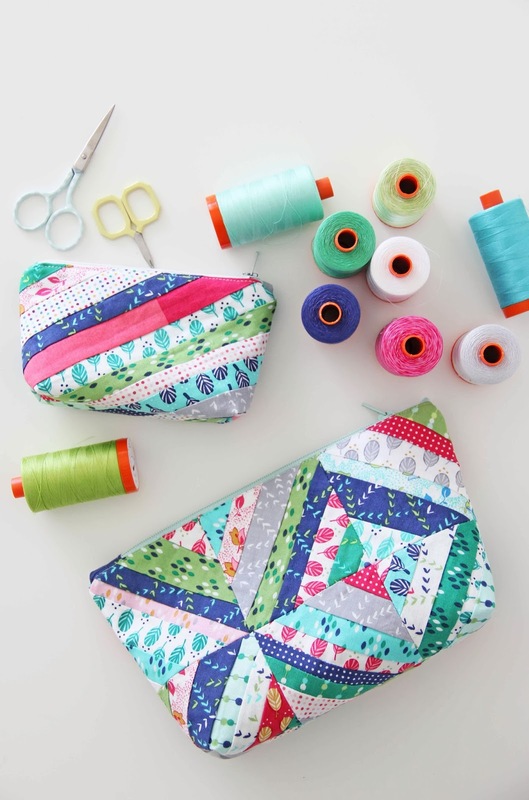 P.S......secretly jonesin' for that braided pillow pattern! 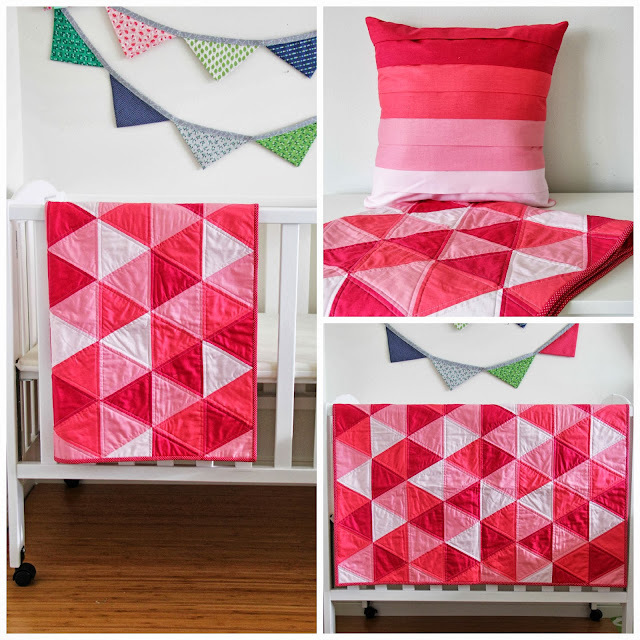 I really love Homemade, and the Star quilt and the ombre quilt - oh heck I love them all too. I, too, love them all! But the braided pillow takes my breath away, the flower box is awesome and lucky stars just makes me smile. Great job on everything, you are so blessed to have such talent! Thanks for sharing it with all of us! 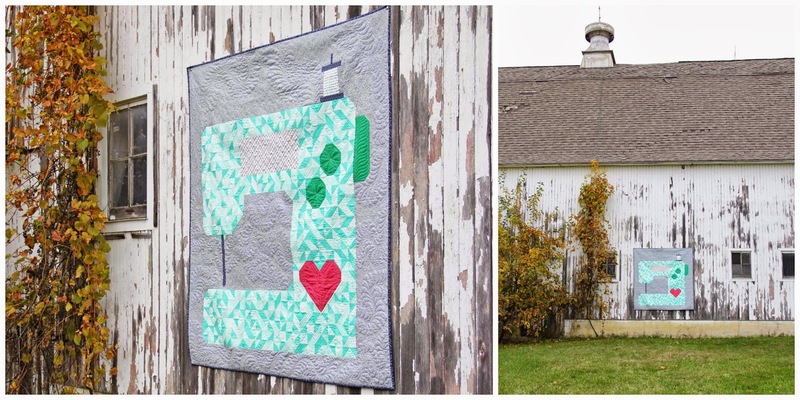 I love the handmade sewing machine quilt pattern - it's fantastic! I am just loving it all! Thank you for the discount! 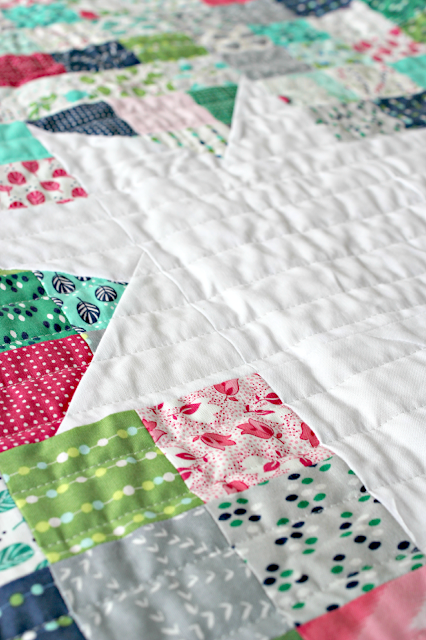 I love the to the point quilt, I think I will have to wait for your lovely fabric to come out before I start it! Also, that thread collection is fabulous! I LOVE this fabric!! 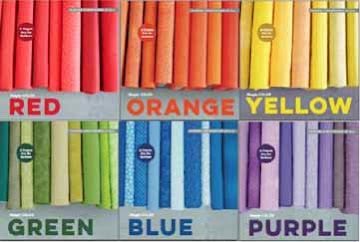 My daughter is 12 and we have been searching for just the right fabric for a new quilt for her bed. When she saw this she was so excited!!! 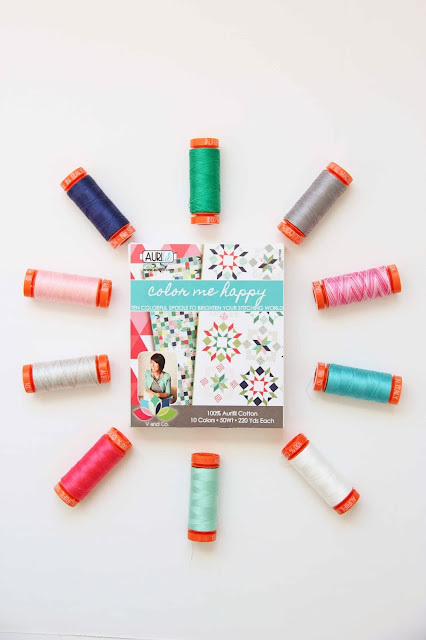 Can't wait to get some and start sewing!! 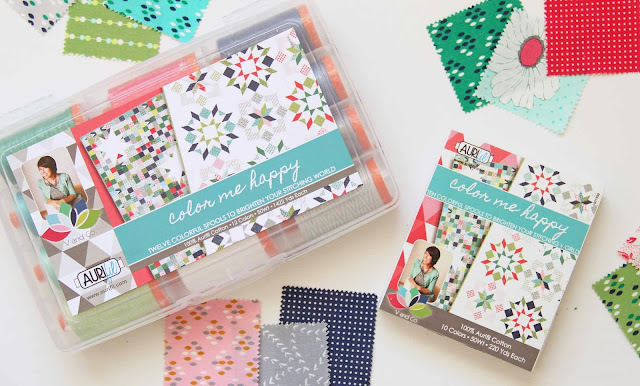 Favorite pattern is either To the Point or Lucky stars, it's too hard to choose!! I am seriously loving Flower Box and Lucky stars right now! Cannot wait for this line to be available! To the point and flower box are awesome...well they all are!!! LOVING Handmade!!! but I also love To The Point and Lucky Stars! I love the flower box pattern, it's great! Wait! Are turnovers coming back?! 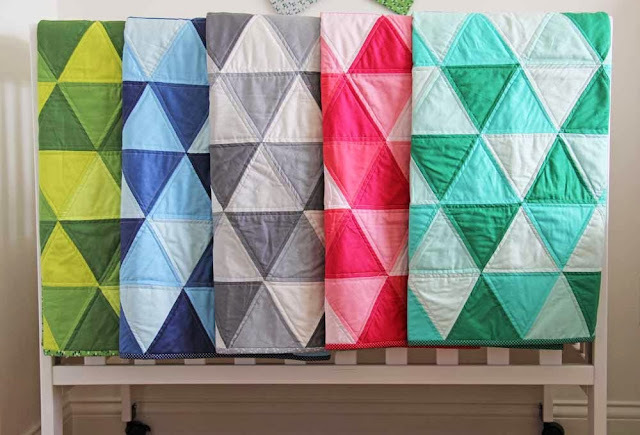 I had a table topper pattern that uses them and I could never find any! LOVE THEM and very excited your line is one that has them. Have fun at Market and get some sleep! Love Flower Box. Must purchase that one. You are awesome! Love everything, but "handmade" has me smiling from ear to ear. 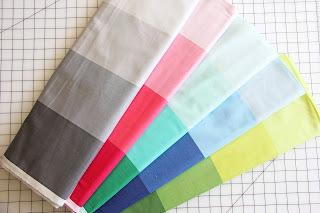 My goodness...the fun things you have designed make me giddy...can't wait to get some of that ombre fabric and make a few of these patterns up!!! Love all of them, but I think Handmade is my favourite. I like your "To The Point" quilt. Really? I have to choose? 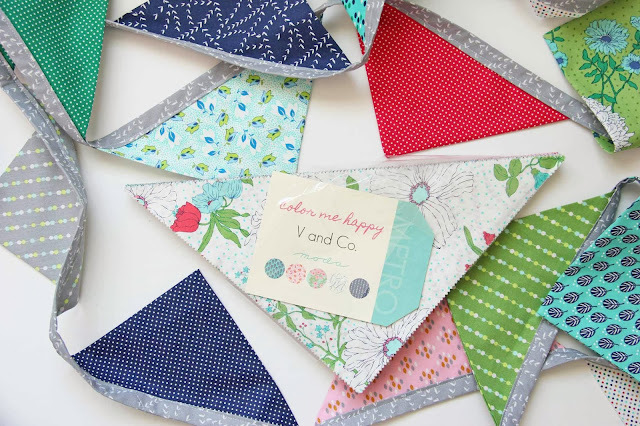 Guess, I will have to go with Handmade, but I really love them all with your always wonderful fabrics! 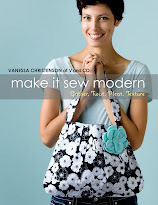 Vanessa, I've just purchased the pdf Handmade Pattern. Now all I need to do is find someone in Melbourne (Australia) who is stocking your new ombre fabric, or else wait until I am in the USA in eleven days and purchase it there. I think that is the best option. 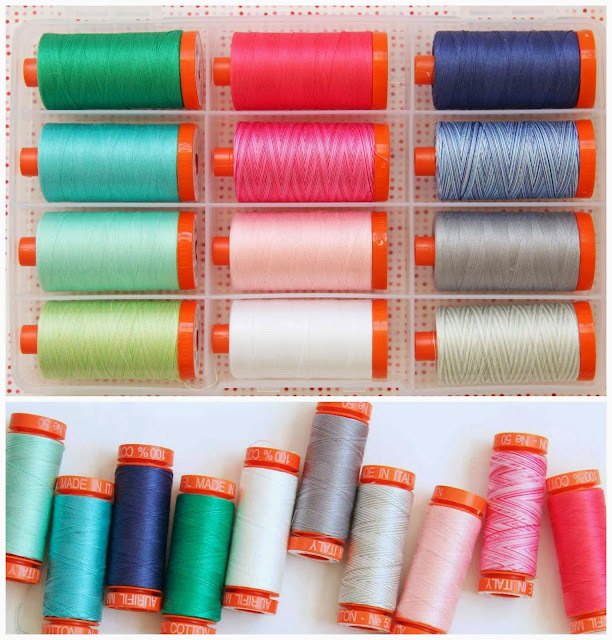 I also want to get your set of Aurifil threads. 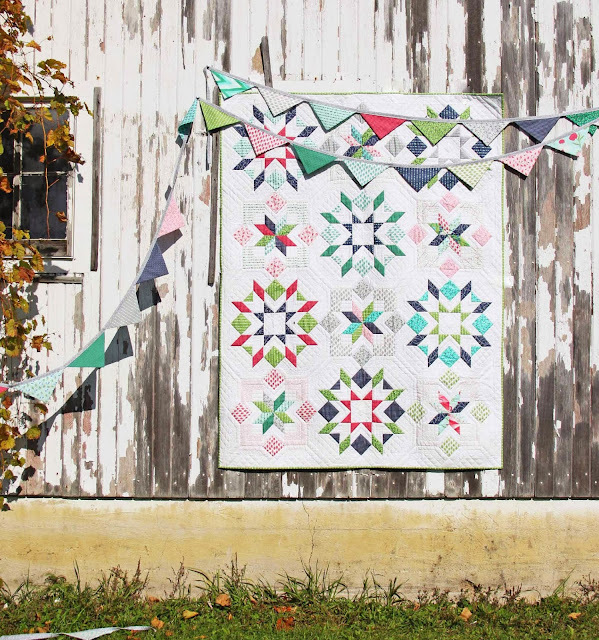 Have a great quilt market I am sure your entire range will be successful. Oh my goodness I LOVE them all but I think Flower Box is on the top! 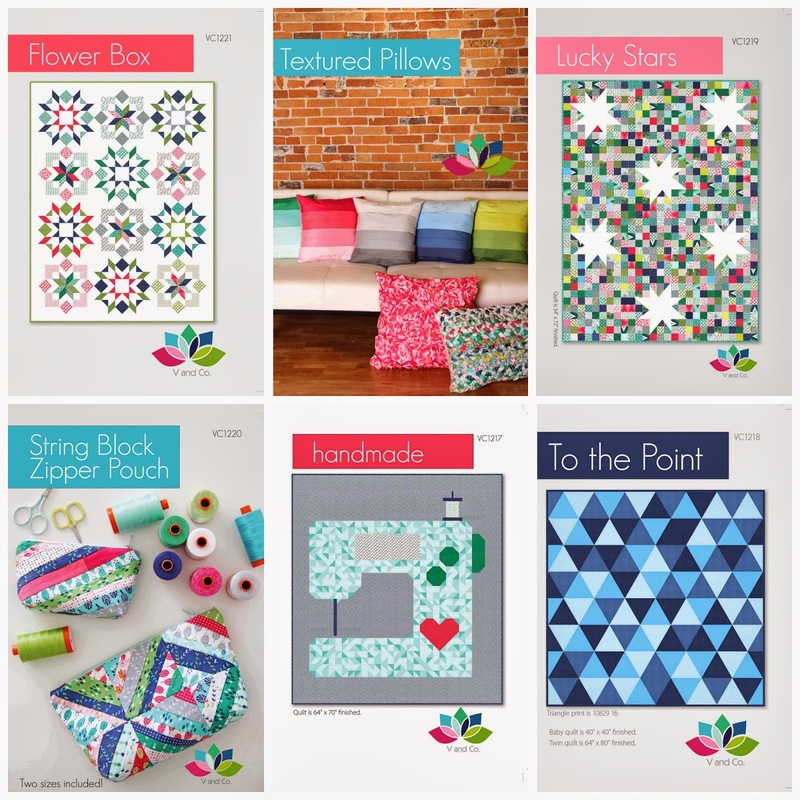 I'm off to shop and add some of these fabulous patterns to my collection! I think the pillows are about all I can handle with my limited skills but I love To The Point! Love flower box and lucky stars and the new ombré fabric is AWESOME! 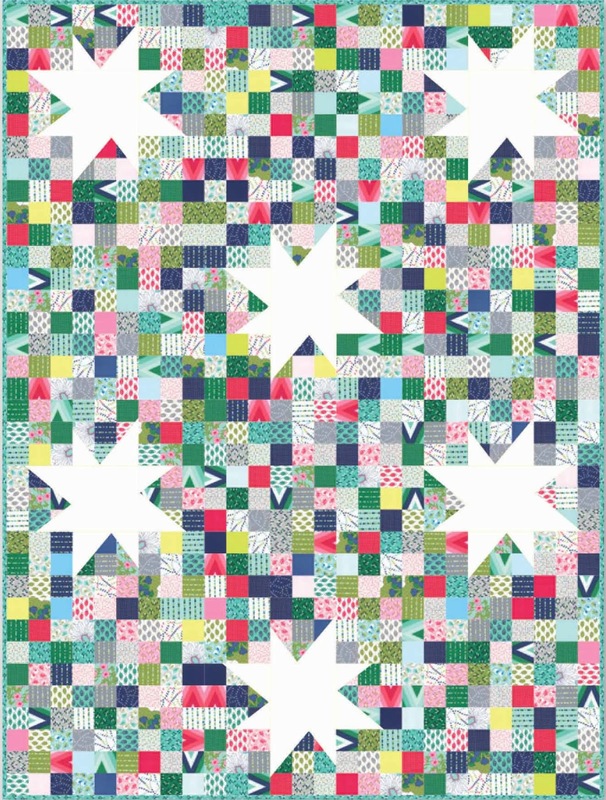 For right now my favorite pattern is Lucky Stars. LOVE all of your new fabric and patterns! The sewing machine quilt is on my wish list. I appreciate the diversity in your patterns. Congratulations on your new collection. You have been blessed with so much talent and an entertaining personality. Thanks for sharing! I love Lucky Stars. I also love, love, love the braided pillow. 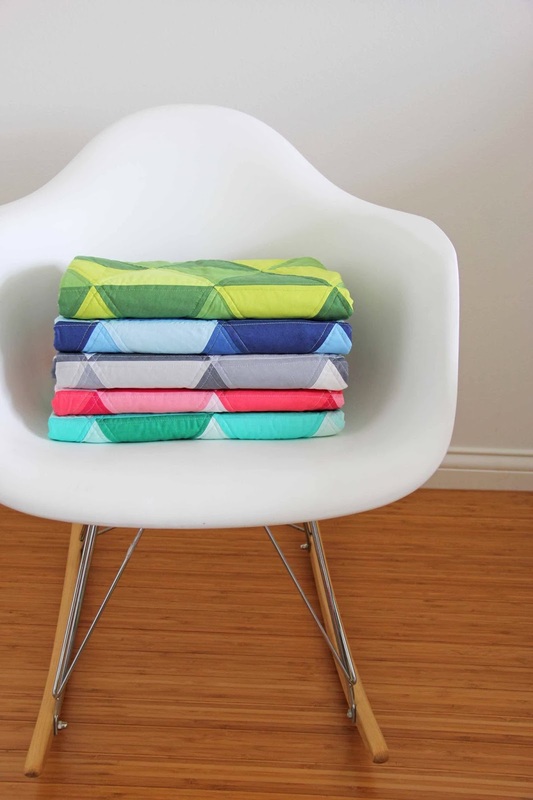 Wow what can I say I love everything the quilts and pillows you're amazing. AMAZING!!!!!!!!!!!!!!!!! I can't WAIT to start sewing...I have the perfect little people for just about every pattern you created!! Since I sooooo very much loved kaleidoscope (barn quilt) I have to say that Flower box might make it's home on my little gal's bed :) and To the Point will be PERFECT for a certain little nephew coming in February...now to get my hands on that fabric...and just for me well handmade is just for me. Gorgeous, gorgeous, like butterflies in my stomach excited. Thanks for all the hard work that went into these!! Good Luck at market. These are truly amazing!! I LOVE the ombre, love love love it. The pleated pillow and the twisted "flower" pillow are amazing, I can't pick which one is my favorite. 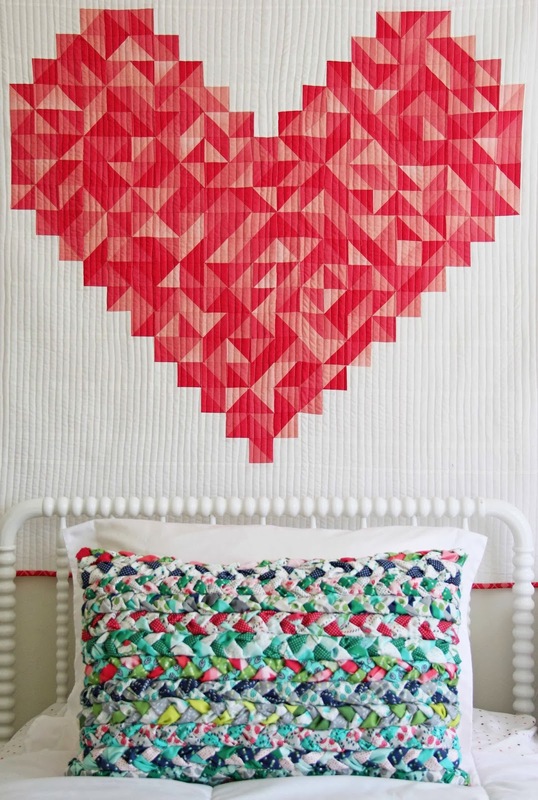 I also love the To the point quilt. Amazing. Flower box and To the Point are my favorites. Hope you are having a wonderful time at market. Love Flower Box pattern. Just ordered it but couldn't get the 35% discount to work when checking out. Thought I would let you know in case any one else is having the same problem. 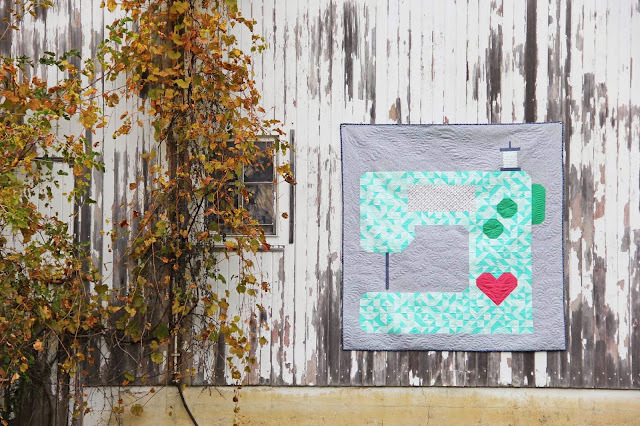 Thanks for all your beautiful creativity that keeps us quilters happy. OMG, I LOVE all of them. But if I have to pick, I have to say it is Flower Box and To the Point. Congrats!!! Can't wait for the fabric to come out also. I can't decide if Lucky Star or To The Point is my favorite! You did a great job with this line! 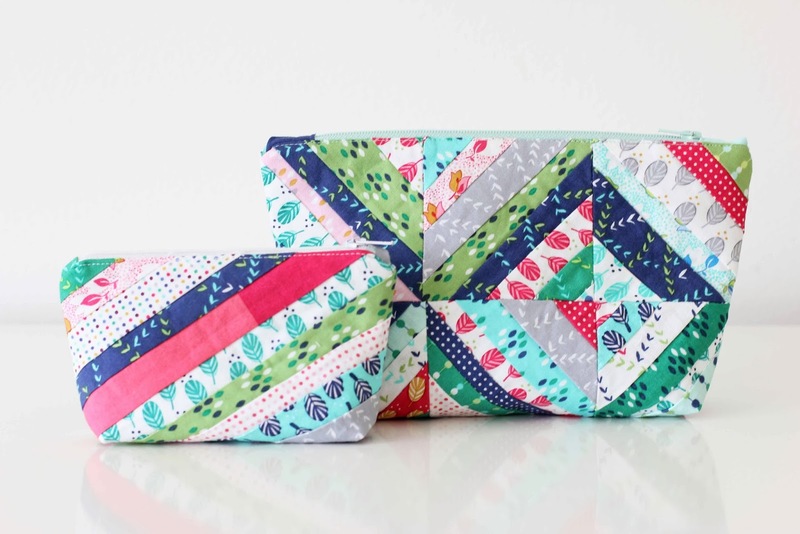 I love all of your new patterns! I am amazed by the new fabric line. It is absolutely Happy! I think my favorites are the ombre fabric and the Handmade pattern. Though I see myself making the pillows and the "to the point" pattern first. Flower Box is my favorite! Can't wait to make it. It's so hard to choose, I love your quilt designs so much. Of this batch, Flower Box is my favorite, and I've always loved Barn Dance. Thanks for the discount! The flower box pattern is my fav! 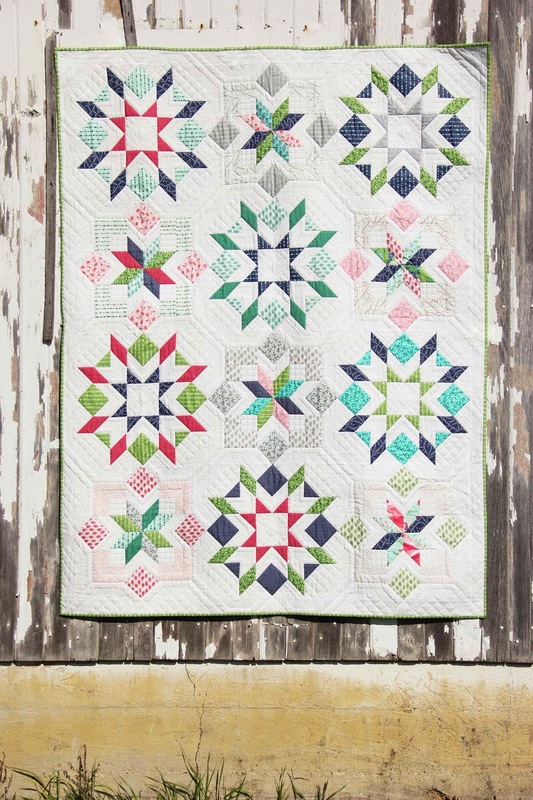 Love the Just Dandy pattern! 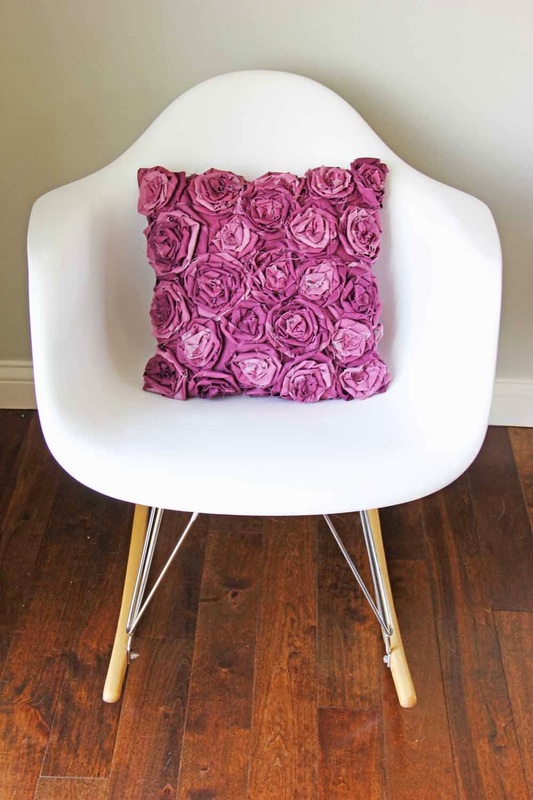 I'm loving the pink twisted textured pillow - so cute! My favorite new patterns are To the Point, Lucky Stars and String Block zipper pouch . The new fabric is yummy. I especially like the geometrics. 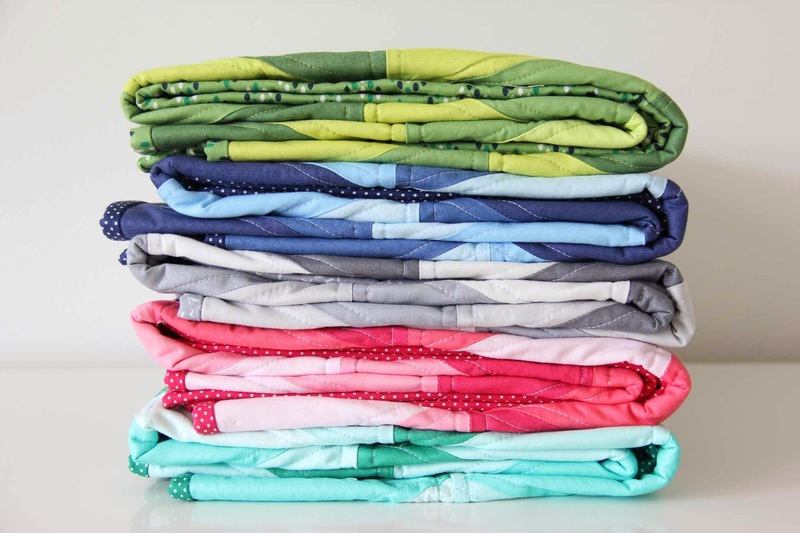 I love your new line of fabric and cannot wait to purchase it! 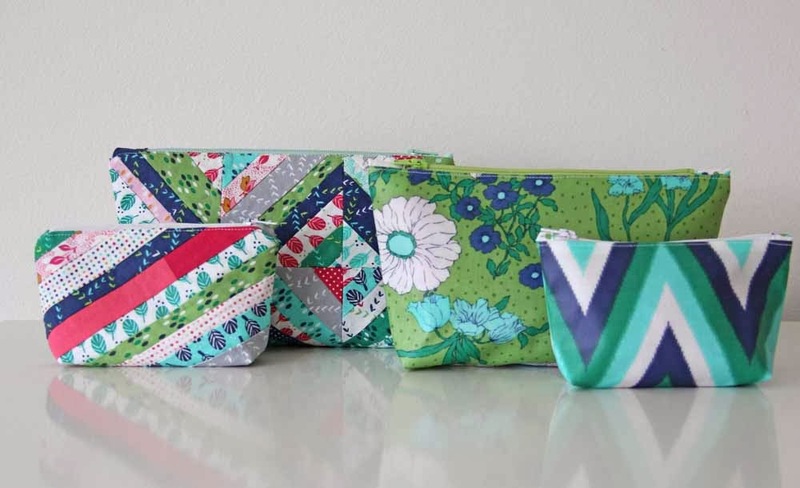 I love the String Block Zipper Pouch, Lucky Stars and Flower Box. I am going to do some Ombre in To The Point for sure! What great inspiration!! It was lovely to meet you at Market, Vanessa. Love the new line (and thinking about using it for an upcoming project!). Thank you so much for letting me use your applique quilts in my presentation on modern applique later this month!